Farting Unicorn, courtesy of artist Tom Edwards. CBCA’s Colorado Attorneys for the Arts and Ireland Stapleton invite you to this unforgettable presentation about artists’ rights in the digital age. The cast of characters in this modern tale of copyright infringement include a potter from Evergreen, Colo., the co-founder and CEO of Tesla, a musician from Seattle, a Denver commercial litigation attorney, and of course… a farting unicorn. This free event offers attorneys 1 continuing legal education (CLE) credit. Light refreshments will be generously provided by Ireland Stapleton. Artist Tom Edwards will also have some of his pottery and artwork on display and for sale during the event. This event is currently at capacity. If you are interested in attending, please contact Meredith Badler at mbadler@cbca.org directly. Following graduation from law school, Mr. Atkinson clerked for the Honorable R. Lanier Anderson III, on the United States Court of Appeals for the Eleventh Circuit, followed by associate positions with Quarles & Brady in Milwaukee, Wisconsin, and Kirkland & Ellis’ Denver office. In 1991, he joined the Denver office of Reinhart, Boener & VanDueren, and became managing partner of that branch in 1998. Mr. Atkinson left private practice in 2000 to become Executive Vice President of Business Development and General Counsel of Quentra Networks, where he led the acquisition of six companies and directed all legal affairs, which was followed by his appointment as general counsel of Expanets, Inc., an $800 million/year communications equipment and services provider, where he was responsible for all legal affairs and supervised Human Resources for over 3,000 employees. His current practice focuses on commercial litigation, general corporate and employment counseling. Prior to attending law school, Mr. Atkinson was a staff instructor for the Winter Park Handicapped Ski Program (now the NSCD) and a participant in the inaugural Winter Olympics for the Disabled. Tom Edwards is a potter in Evergreen, CO whose primary work is wheel thrown pottery decorated with cartoons. He has been a full-time artist for over forty years and sells his work in fine craft galleries throughout the United States. 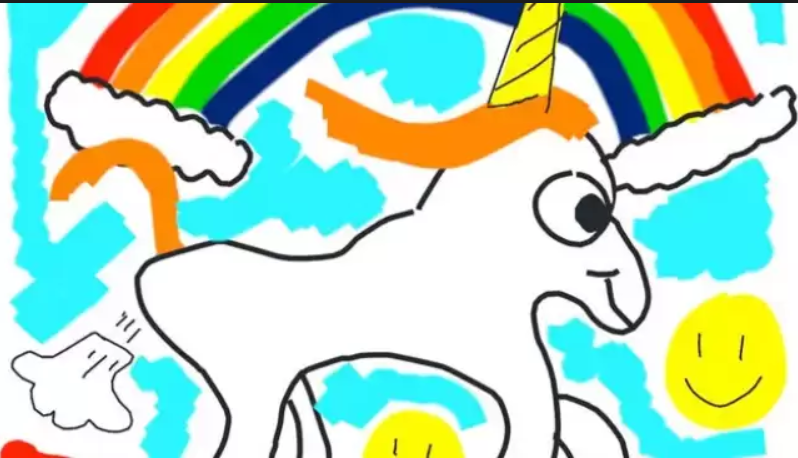 In 2017, Elon Musk posted a direct copy of Tom’s artwork on Twitter: a line drawing of an electric car being gassed by a farting unicorn. This graphic had just been uploaded to the screens of Tesla automobiles, but Tesla Motors had not gotten Tom’s permission to use the artwork. One year later, Tom sent a letter to Tesla Motors which was ignored so Tom went to the press. Tom’s daughter, Seattle musician Lisa Prank, took the debate directly to Elon Musk via Twitter and a lively battle of wits ensued. A slew of tweets later, news sources from around the world were covering this story and Tom had definitely gotten the electric car company’s attention. In the end, Tom reached a settlement with Tesla without having to go to court. Edwards’ farting unicorn is now a high profile image embodying art and tech and a symbol for artists rights in the digital age.